OEM Airbag module reset service: Crash data & hard codes cleared! How do I reset my airbag light? The airbag light reset depends on the airbag faults. If there are minor codes such as a wiring fault or communication issue, this can usually be fixed by addressing the fault. An OBD scan tool can also erase any soft codes that are not related to a crash. If your car has been in an accident, you will probably have the airbags deployed, locked seat belts, faulty crash sensors and/or a bad airbag clockspring. The SRS airbag system computer or module will now have crash codes or crash data known as hard codes. This is something that no airbag scan tool not the dealer can reset. This is where we come in! 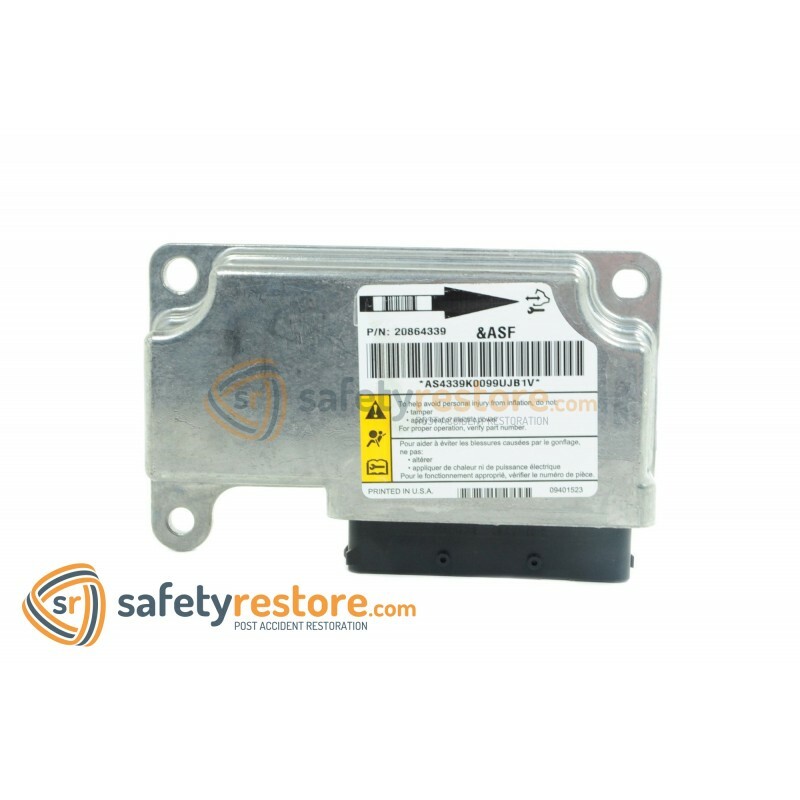 Safety Restore offers affordable and fast SRS airbag module reset service erasing all rash data and hard codes that dealers and OBD airbag scan tools cannot! We reprogram your original SRS airbag control unit back to factory condition. No further dealer programming will be needed after our reset. Your airbag light will be rest with our service. This service is 100% guaranteed or your money back. My airbags deployed, will I need to have my SRS airbag control module reset? Yes. Whenever you have an airbag code related to the airbags deployment, you will always need your SRS module reset. Before, the only solution to this was buying a new module and laying hundreds of dollars at the dealer. Thousands of SRS units would go to trash! But with the rising industry is salvage cars being repaired, rebuilt and safely back on the road - the demand for new methods and safety procedures came to be. Our SRS airbag module reset being one of them. Many dealers, shops and individuals are now rebuilding salvage cars after accident, that are bought from salvage auctions such as copart.com and iaai.com and rebuilt safely to be back on the road with salvage, reconstructed or rebuilt titles. Most of these cars/vehicles will require a safety salvage inspections to ensure that the motor vehicle has been safely rebuilt and is safe to operate on the road. It is also inspected against theft and stolen parts. Keeping this in mind, if your car has no airbags or had the airbags deployed, you will need the SRS unit reset. Why does the SRS airbag control module need to be reset? When an accident occurs, the SRS airbag module writes codes in its memory that contain crash information. Once written, this SRS controller becomes "locked" until it is replaced or reprogrammed. This is due to the fact that the car will no longer be safe to operate. In addition, the airbag module goes into a "black box" state that awaits an accident investigation in case it is needed. However, when the car is written off the insurance or the accident has been minor, the vehicle can return to the road. At this point the SRS airbag comfort modules needs to be reset. We provide this reset service at an affordable price and offer a 24 hour turnaround. Your SRS module will be reset and your airbag light will go away. 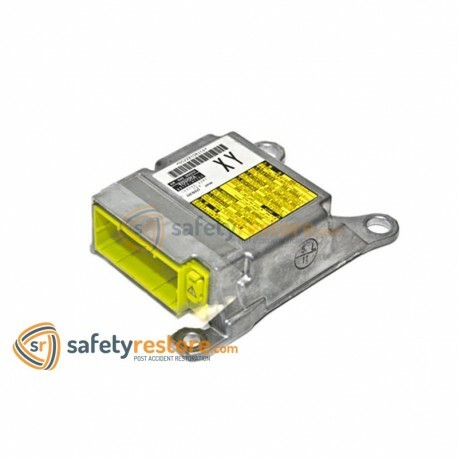 How do I remove the SRS airbag module? Disconnect the negative terminal of your cars battery and wait at least 5 minutes before proceeding. Locate the SRS airbag unit. In most vehicles it will be under the center console which, between the front seats under the dash or under the front driver or passenger seat. Most SRS units will look similar with a metal enclosure and a yellow plug. Others will have a metal enclosure with a black plug. Unbolt the unit and disconnect the wire harness or airbag plugs going to it. An airbag module replacement cost can easily exceed $1,000 when buying new from the dealer. Used airbag modules may be cheaper at a few hundred dollars. Replacing an SRS airbag module is a difficult and a lengthy process due to everything that's associated with it. When you install a different module in your car, used or new, you will need to program it to your VIN which requires the dealer to do it. This adds extra costs and time. All salvage shops are now using Safety Restore to reset their SRS airbag modules instead of replacing them. Anyone working with salvage cars saves hundreds every time, and thousands throughout. We are happy to be the nationwide leader in providing affordable and fast SRS airbag module reset service in America!